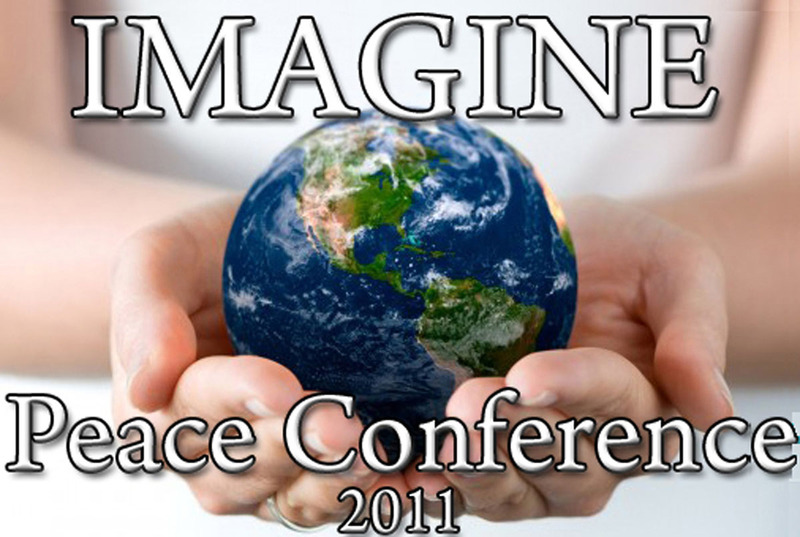 The IMAGINE Peace Conference took place at UC Berkeley on the 10th Anniversary of 9/11. Open to students and the public, this major event was co-sponsored by The LIVE PEACE Institute, a think tank for Peace, along with an extraordinary group of leading Peace organizations including The Shift Network, The Peace Alliance, PeaceJam, Pathways To Peace, The Culture of Peace Initiative, CalCorps (the service and volunteering center for students at UC Berkeley), the National Peace Academy, the Center for Living Peace, and Dream University. 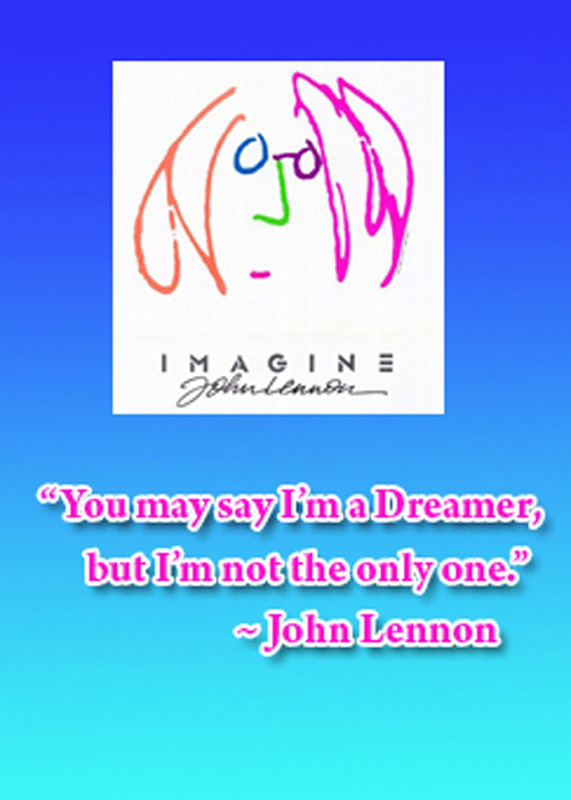 The goal of the IMAGINE Peace Conference was to change the dialogue on 9/11. Instead of being observed as a day of anger, hatred and vengeance, the Peace Conference offered a voice saying: We have a choice. We do not have to respond with violence. We can love and be kind to each other, embrace people who are different from us, and create harmony by sincere acts of service to others. Beatrice de Salles – is a survivor of 9/11. That morning, she was on her way to work at an investment firm on the 86th floor of the World Trade Center. Suddenly, she heard a boom and the subway jolted. The first airplane had hit the North Tower. Because she was late for work, she survived 9/11. Her home was totally destroyed by the falling buildings. She lost everything she owned except the clothes she was wearing. 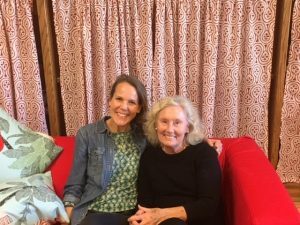 Now she is married to a Muslim, who she says “Is the most wonderful man I’ve ever met.” Beatrice told her story of heartbreak and her road to healing, and taught a workshop on healing. Eboo Patel – is an American Muslim of Indian heritage. Eboo serves on President Barack Obama’s Advisory Council on Faith-Based Neighborhood Partnerships. A Rhodes Scholar and graduate of Oxford University, Eboo’s core belief is that “religion is a bridge of cooperation rather than a barrier of division.” He is Founder of the Interfaith Youth Core (IFYC). His team is building a huge movement of young people from different faiths working together to apply the core value of all faiths – service to others. Eboo has spoken at the TED conference, the Clinton Global Initiative, and the Nobel Peace Prize Forum. He writes regularly for The Washington Post, USA Today, and The Huffington Post. Rabbi Michael Lerner – is a Jewish theologian and spiritual leader of Beyt Tikkun synagogue. A student leader in the Free Speech Movement at UC Berkeley in the 60s, he is editor of Tikkun magazine Tikkun.org and Chair of the Network of Spiritual Progressives (NSP) (www.SpiritualProgressives.org). Rabbi Lerner recently sat on a panel with the Dalai Lama. He is famous for proposing an Amendment to the U.S. Constitution for Environmental and Social Responsibility (ESRA). Ocean Robbins – Ocean’s father, John Robbins, is the bestselling author of “Diet for A New America,” one of the most powerful books about kindness published in the last century. Ocean is a prodigy of Peace: He organized a Peace rally in his elementary school at the age of seven. At 15, he spoke to 2,000 people at the United Nations. He has spoken at Bioneers, The Power of Nonviolence (with the Dalai Lama and other Nobel laureates), and IONS. Ocean has been featured in Time, The Washington Post, Audubon, and The New York Times Magazine, and honored by the Giraffe Project. “There are 6 billion paths to Peace. You have a unique part to play,” he said. Kyleigh Kuhn – is a graduate of the Peace & Conflict Studies program at UC Berkeley and a grant recipient of the Shinnyo-en Foundation. At the age of 14, she founded the Roots of Peace “Pennies Campaign” which raised more than $300,000 – mostly in pennies from school children – to remove land mines from school playgrounds in Iraq, Afghanistan, and Croatia. She helped to build 6 new schools in war-torn areas. Kyleigh is now a successful fashion model in New York City. Her mother is Heidi Kuhn, founder of Roots of Peace. Capt. Paul Chappell – is a graduate of West Point. He served as a Captain in the U.S. Army in Baghdad. Paul says there is a growing Peace movement within the military at the highest level. His newest book, “Peaceful Revolution,” and his two previous books, “Will War Ever End?” and “The End of War” are on the list of “must reads” for anyone who cares about Peace. Paul is Director of Peace Leadership at the Nuclear Age Peace Foundation. Tiveeda Stovall – is founder and Executive Director of eXcel Youth Zone (XYZ). She is also the California home for PeaceJam, a non-profit that brought 12 Nobel Peace Prize laureates together to engage young people in its “Global Call to Action.” EXcel Youth Zone is a non-profit which engages K-12 youth in service-learning opportunities. Tiveeda is a graduate of UC Berkeley with a Masters degree in Social Welfare. She is the recipient of the 2007 Congresswoman Susan Davis Award for an Adult Actively Engaging Students in Service. Matthew Albracht – has a heart as big as the world. As Executive Director of The Peace Alliance, he mentors and nurtures new Peacemakers. His “Faces of Peace” campaign is a “grassroots” movement to encourage local activism for Peace. Along with Congressman Dennis Kucinich and Dot Maver of the National Peace Academy, Matthew is a major proponent for the creation of a cabinet-level Department of Peace. Vishalli Loomba – is Student Body President of UC Berkeley. She was in grade school on the morning of 9/11; she still remembers it clearly. For many young people, 9/11 was the first news event they recall, their first real impression of the world. Vishalli is passionate about creating a future in which all people are treated fairly and with kindness, and “where we all help each other to thrive.” Her major is Molecular and Cell Biology. Howard Martin – is Executive Vice President for Strategic Development at HeartMath®. He is a much sought-after speaker on the subject of how to achieve Deep INNER PEACE, reduce stress, and live a long healthy life. “If you don’t have Peace on the inside, how can you hope to achieve Peace in the outer world?” he says. Howard speaks internationally on the HeartMath® approach, based on compelling scientific research linking heart function with health, emotional well-being and even intelligence. John Berry – is a Choctaw-Cherokee born in Stillwater, Oklahoma. He opened the Peace Conference with a traditional Native American blessing and invocation. John is a published poet and traditional “Stomp Dancer.” He is also the Librarian of Native American Studies at the UC Berkeley Ethnic Studies Library. Dr. Pamela Gerloff – holds a doctorate from Harvard University. Her article “The Psychology of Revenge: Why We Should Stop Celebrating Osama Bin Laden’s Death” was one of the most popular blogs in Huffington Post history. It got more than 200,000 Facebook “LIKES” in only 48 hours! At Harvard, she began to ask: Why don’t schools change? and When they do, why don’t the changes last? Dr. Gerloff currently writes “The Possibility Paradigm: Transformational Change for Individuals and the World,” a weekly blog on www.psychologytoday.com. She is the founder of Compelling Vision and The Global Possibility Project. Eric Kasum – is founder of the IMAGINE Peace Conference and the LIVE PEACE Institute. He created PeaceDog, a website that empowers people to find their passion and change the world. Eric is author of the upcoming book “The Blueprint: What the Great Movements that Changed History All Had in Common.” As a journalist, he wrote for The New York Times magazine group, The Los Angeles Times, and CBS News. In Washington, D.C., Eric worked at a prominent think tank. He also wrote for the Bush White House and members of the Cabinet (1989-91), and was the personal writer for Edwin Meese, President Ronald Reagan’s White House Chief of Staff. After the IMAGINE Peace Conference, what comes next? The LIVE PEACE Institute is working closely with BePeace.org and the Rasur Foundation to launch a major program to teach Peace to school children in the United States. The model they will be using has been pioneered and tested at the Academy of Peace and the United Nations’ University of Peace with the support of Oscar Arias, Nobel Peace Prize winner and former president of Costa Rica. (Note: Costa Rica became a leader of Peace when it constitutionally abolished its army permanently in 1949. It is one of the few nations in the world to have a cabinet-level Ministry for Peace, and it is the headquarters of the United Nations’ University of Peace). 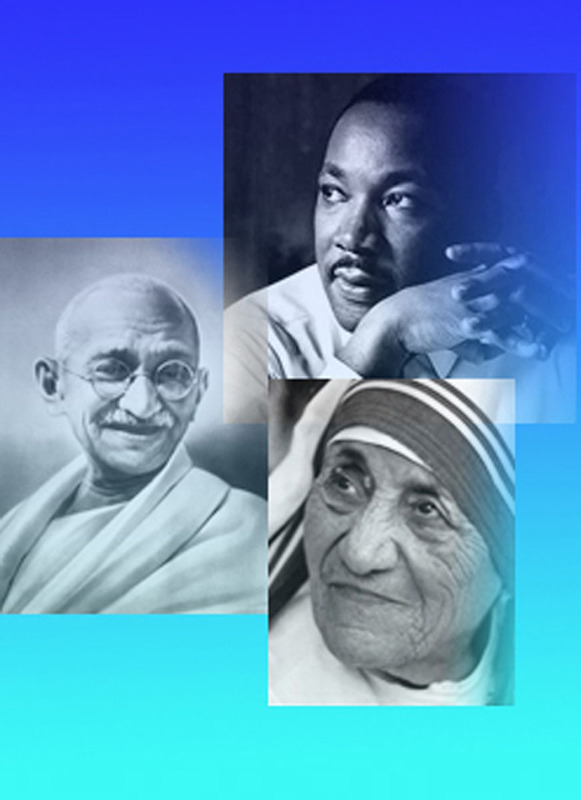 In addition to hosting ongoing “think tank” events to brainstorm new pathways to create World Peace, The LIVE PEACE Institute is sponsoring three new initiatives: 1) “100 Peace Conferences,” a program that will bring the IMAGINE Peace Conference into living rooms across the United States and around the world; 2) “Change the Headline” a campaign to encourage people who – at the moment they read a news article – to take immediate action to help people who are suffering (their motto: “If you don’t like the headline, change it!”), and; 3) PeaceDog, a website designed to engage young people in the Peace process, help them to find their passion for helping others, and empower them to change the world. The Peace Alliance has worked tirelessly to create a national, cabinet-level Department of Peace in the U.S. Pathways To Peace and The Culture of Peace Initiative were founded by Avon Mattison, who helped to create the United Nations’ International Day of Peace, which we observe each year on Sept. 21. The National Peace Academy offers a retreats and classes and a Peace certification training program for people around the world. The Center for Living Peace hosted His Holiness the Dalai Lama on his recent visit to UC Irvine, and sponsors monthly classes to teach Peace to young people and adults in its community. Dream University offers ongoing classes, both online and face-to-face, to help you discover your passion and embrace a future that gives you joy.